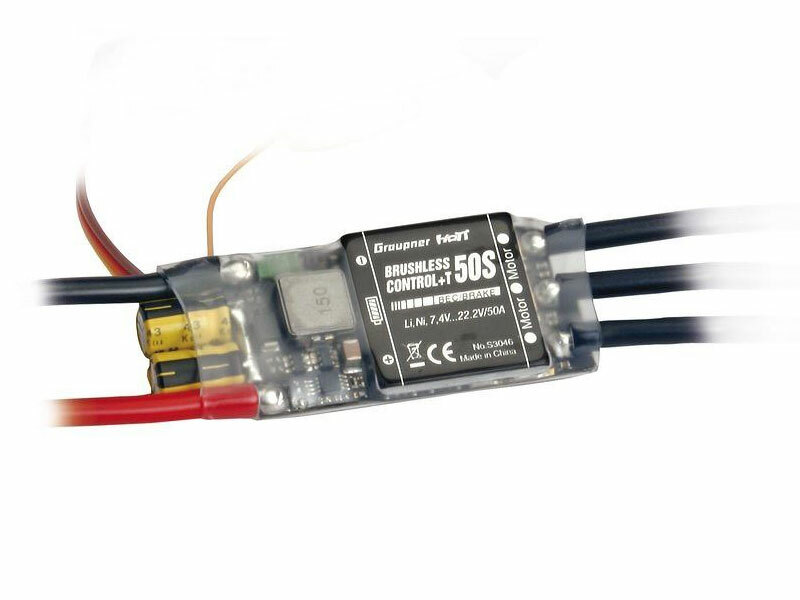 Graupner Brushless100A Controller features simple programming setup for telemetry data, Integrated HoTT system gives you real-time information\r\n on Motor RPM, voltage, consumption current, ESC temperature, user programmable warning. With the use of\r\n the optional Graupner HoTT transmitter, ESC can be programmed by wireless at real time. Equipped with\r\n Cool FET technology and multi protection system (Temperature, Low-voltage cut off, Over-current), this ESC\r\n can be protected from any damage.